This morning on the sports talk radio program I was listening to, the host was talking about unlikely/disgusting food combinations that people enjoy. Examples included ketchup and eggs and mayonnaise and Spam (seriously, I almost vomited just typing those combos out…YUCK). I must admit, I have developed some odd food pairs over time as well. Although they might not be as sickening as the ones I heard about this morning, most of them are totally 100% unhealthy. Butter on Costco muffin – When it comes to Costco, I only purchase a few items. One of these products happens to be its world famous jumbo muffins. However, eating a calorie-ridden chocolate, poppy seed, or banana nut muffin isn’t enough for me. Did someone say butter? Besides family members, I don’t think I have met anyone else who will cut open a Costco muffin, spread butter on the inside, and pop it in the microwave for a few seconds. Totally unnecessary but totally delicious. Ice in soup – I love soup. I grew up eating it and to this day I will always opt for a cup of soup over a salad when given the option at a restaurant. But while I am not sensitive to hotness in a spicy sense, I am senstive to hotness in a temperature sense. To me, nothing is worse than burning your tongue. It ruins everything…even a delicious bowl of soup. So, to prevent against this, I always drop an ice cube or two into my bowl. In my mind, a lukewarm soup is better than a piping hot soup. I understand it might look tacky scooping a piece of ice out of your water glass and dropping it into your soup bowl but it is a breach of etiquette I am willing to perform. Half-And-Half in cereal – My mom taught me this trick. As I have mentioned before, we didn’t always have access to sugary cereals growing up. Thus, my mom simulated a bowl of Cinnamon Toast Crunch by using regular Cheerios. Not only would she sprinkle some pure sugar on top of the Cheerios, she would substitute half-and-half for the milk. I can’t tell you how rich and heavenly it would make a “healthy” cereal taste. As I got older I would sometimes even add half-and-half to my Waffle Crisp or Reese’s Puffs, making my “breakfast” a legitimate dessert. 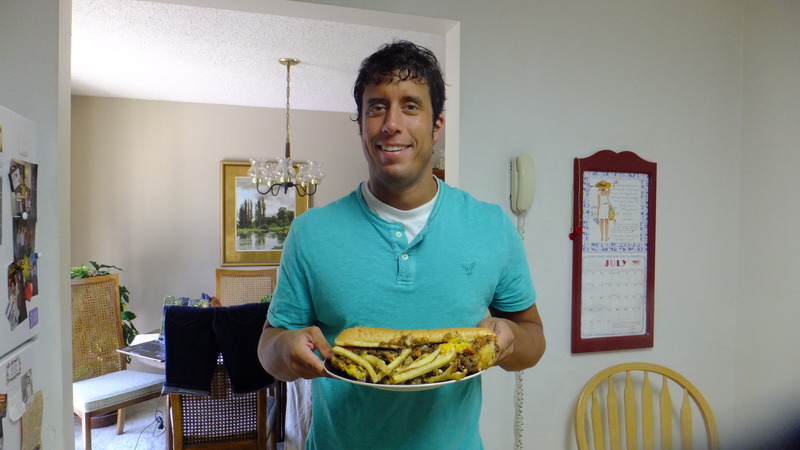 Hot sauce on hot dog– Several years ago while at a dive bar in Las Vegas, I ordered a $1 hot dog. Sitting at the bar by myself like a loser, I asked the bartender for a hot sauce packet. She watched in disbelief as I opened the packet and streamed the sauce down the hot dog. “You put hot sauce on your hot dog?” she exclaimed. Um, yes, I do. At the time I had no idea that someone would think that was weird. Come to think of it, I still don’t know why anyone would think it is weird. I don’t do ketchup or mustard so hot sauce is the logical condiment to put on a hot dog for me. Am I really that crazy? If I have a plain hot dog and hot sauce is within reach, I am going to use it (I also like chili and cheese on my hot dog as well). Parmesan cheese on…everything – I used to add Sriracha to everything but those days have passed. My new “condiment” of choice is parmesan cheese. I blame this one on my wife. She LOVES parmesan cheese (she calls it “shake cheese”) and has the tendency to buy the jumbo bottles. Not that her tastebuds are out of whack because I agree with her, parmesan cheese is great. These days, it is a staple at our dinner table. I don’t just douse my pasta in it – I pour it over deli sandwiches, Hamburger Helper, steak, and more. It is the perfect topping to any dish! 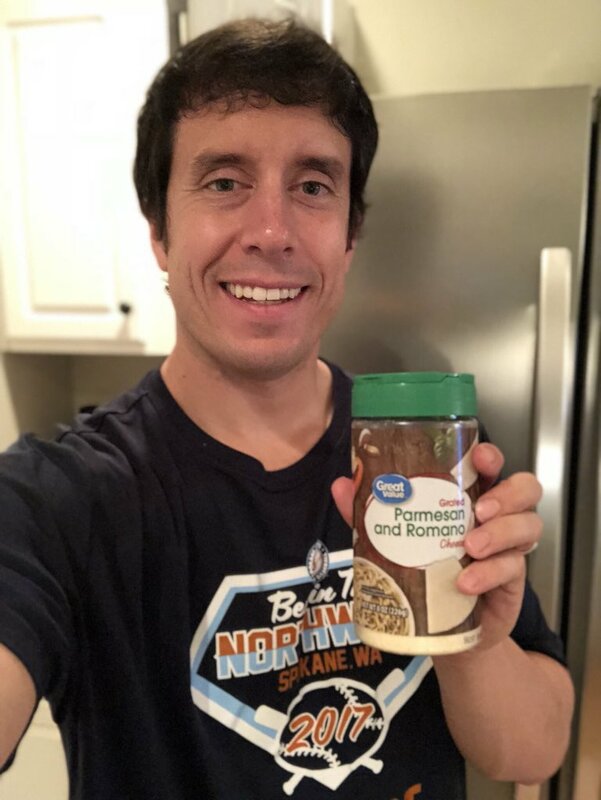 The Reser household loves parmesan cheese! That’s all I got regarding my odd food pairs. If you have never tried half-and-half in your cereal before, I recommend you give it a try. Eccentric food combos can be fun, just as long as no mayonnaise is involved. Don’t Blink. Last night, our household was not fixated on the Winter Olympics closing ceremonies. Rather, we were captivated by the season finale of Celebrity Big Brother. As someone who became a fan of the Big Brother franchise a few years ago when Sidney introduced the reality show to me, I was pretty excited when it was announced this past summer that a celebrity edition would commence at the start of the year. As Sunday night’s show concluded with Marissa Jaret Winokur topping Ross Matthews for $250,000, I took some time to let the past two and a half weeks sink in. After sleeping on my thoughts, I feel I can briefly explain my reaction to Celebrity Big Brother. Allow me to give you my input on Celebrity Big Brother. First off, I want to credit CBS for not just deciding to do Celebrity Big Brother but for deciding to air it exactly opposite the Winter Olympics. While other networks conceded to NBC by showing reruns, CBS fought fire with fire. What a power move! I thought the two and a half week competition was perfect for a non-traditional, winter airing of the show. Not that CBS had much of a choice. With the Olympics running for 17 days and with a cast of celebrities who would never dream of spending three months in a house isolated from the outside world, the condensed version of Celebrity Big Brother wasn’t a choice, it was a necessity. But it worked out great. It was a commitment to watch four times per week but the show was constantly moving. There wasn’t time for a lot of B.S. and pointless segments. You got the meat and potatoes of Big Brother and I liked that. I appreciated how the show didn’t deviate too much from tradition. With a bunch of celebrities in the house the tendency to cater towards them would be understandable. However, they still had to participate in the classic Big Brother competitions, they had to get messy, and they had to eat slop. Sure, some of the contestants received big payouts to be on the show but for the most part the game was played in the spirit of typical Big Brother. The show moved quickly, it was entertaining, and it resembled the actual Big Brother game to a satisfactory degree. However, I do have a couple critiques as well. Let’s start with the “celebrities.” Okay, the quotation marks probably aren’t warranted because they were legit famous people but they were (and still are) pretty much D-listers. Don’t get me wrong, I enjoyed the cast but wouldn’t it have been more entertaining to see people like Beyonce, Slyvester Stallone, Ronda Rousey, Jimmy Fallon, and David Beckham in the Big Brother house? Of course. The cast we watched was more appropriate for a VH1 reality spinoff, not a CBS reality show staple. Celebrity Big Brother was full of D-Listers. Wish I could say this was the less well-known half of the cast but it isn’t. I also had an issue with people on the show who didn’t really want to play. Watching contestants such as Keshia Knight Pulliam and Metta World Peace actively campaign to be evicted was disappointing. I understand that not all contestants will bring the extreme competitive attitude of Shannon Elizabeth to the house but they should all at least want to be there. My final bone I have to pick really isn’t a Celebrity Big Brother issue, it is a Big Brother issue in general. Once again, the person who finished as the runner up clearly should have won. Look, I said from the start that I wanted Marissa to win and Sidney will tell you that I rooted against Ross the whole duration of the show. However, there is absolutely no question that he played the best game and deserved to win. The past three seasons (Big Brother 18, Big Brother 19, Celebrity Big Brother) I have watched jaded juries vote against the supreme player simply out of spite. It is such an unsatisfying way to end a season and I hope the show producers do something to fix it. But all in all, I enjoyed my time watching Celebrity Big Brother. I don’t feel bad in the least that I gave it priority over the Olympics. Now it is time to look forward to this summer when Big Brother 20 begins. Hate to burst everyone’s bubble but you won’t see me as a contestant – even though there was a casting call in Myrtle Beach this weekend, I decided to sit it out. After all, why would I audition when I know that the jury will just vote against me when I play a perfect game and make it to the Final Two? Don’t Blink. After spending most of this beautiful weekend enjoying the sunny and 75 degree weather, Sidney and I switched gears a couple hours ago. With Sloan down for a nap, we decided to find a late Sunday afternoon movie to watch on Netflix. We had a great weeekend enjoying the beautiful weather. However, we swtched gears and watched a movie this afternoon. 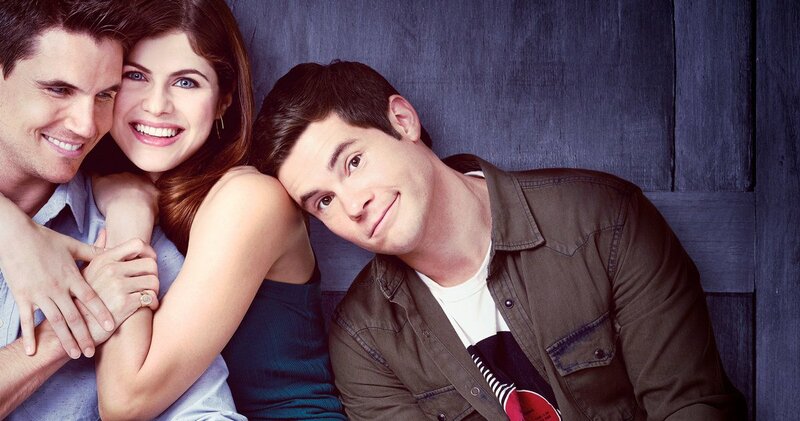 We selected “How We First Met,” a film that just hit Netflix starring Adam DeVine, Alexandra Daddario, and Shelley Hennig. It is a romantic comedy and DeVine plays the usual character you have seen him play in movies such as “Pitch Perfect” and “Mike and Dave Need Wedding Dates.” Unlike a lot of Netflix movies in which we end up falling asleep to, Sid and I watched “How We First Met” all the way through. However, just because we watched all 97 minutes of it doesn’t mean it was the best movie we ever watched. In fact, I found myself more frustrated than anything. Sid and I watched ‘How We Met” with Adam DeVine this afternoon. Why was I frustrated? Well, “How We First Met” followed the exact same movie premise that I am getting tired of watching. I don’t know what is up with Hollywood these days but it seems as if all these writers are obsessed with a certain concept that Sid and I have watched play out in at least six different movies over the past 12 months. Okay, this is what I am talking about: The main character misses a chance at love or a big opportunity and wonders “what if?” Then, a fairy waves a wand or the character suffers a fall and it sets in motion the “Groundhog Day” phenomenon. You know what I mean, the main character wakes up in bed only to discover that he or she has time traveled back to the day when the big mistake or missed opportunity occurred. It is then up to the depressed soul to change the course of history and make things right…usually needing no less than 50 different attempts to do it. I will say this up front: I am intrigued by the notion of the smallest thing having the power to dramatically alter life as we know it. With that said, the cinematic twist is making me go crazy. If I could describe these “Groundhog Day” ripoffs in one word it would be exhausting. By the third time the movie goes back in time I am already over it. By the fifth time it happens, I am annoyed. Some of these movies go back over 10 times…get my drift? I think the reason why this concept exhausts me is because when I watch a movie I like to feel like progress is being made. I like to feel as if the film is moving forward and a conclusion is coming closer to the forefront. With movies that flashback to the same point over and over it drives me crazy. It is backtracking and repetitive. I simply don’t have the patience for it. Probably the other word that comes to my mind with these movies is cliché. As I wrote above, these films are completely overdone. Between Netflix and the Hallmark station it seems as if it is the only type of movie being made. Creativity has flown right out the window. Do you have a favorite “go back in time a million different times” movie? Or are you like me and think they are lame? No more rewinding for Sid and I tonight, we got a “Celebrity Big Brother” finale to watch! Don’t Blink. Sidney took this photo of Sloan and I in the middle of a walking lesson. I liked it so much that I am sharing it even though it really doesn’t have a spot in this blog post. 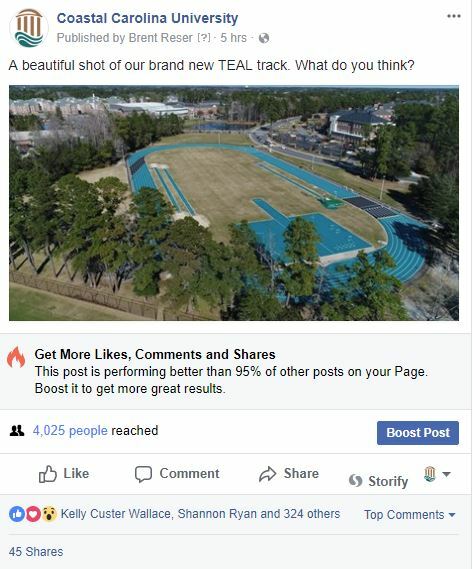 Look At That Track – At Coastal Carolina University, we recently installed a brand new teal track. In my opinion, I think it makes our beautiful campus stand out even more. This image was taken by our video production department. Drones are so cool! How nice does that look? Great shot by David Russell. I work on a beautiful campus. Perfect Children’s Book – Part of Sloan’s Valentine’s Day present from my parents was a special book. Titled Saintly Rhymes for Modern Times, it is a guide to the men and women who lived remarkably God-centered lives and reached sainthood. As the title alludes, the focus of this book is on saints from the recent era. Superstars like Pope John Paul II, Mother Theresa, and Padre Pio are all included inside the pages with a rhyming bio and a pleasing illustration. This book fills a void because before Saintly Rhymes for Modern Times was published, a children’s book of the saints did not exist. Making this whole thing better is that the author/illustrator is Meghan Bausch, the daughter of Tim and Kathy McCormick. The McCormicks, now our good friends, gave Sidney and I our Pre-Cana counseling. None of us will live a perfect life like Jesus but the saints remind us that we can still live extremely holy existences and have an AMAZING impact. 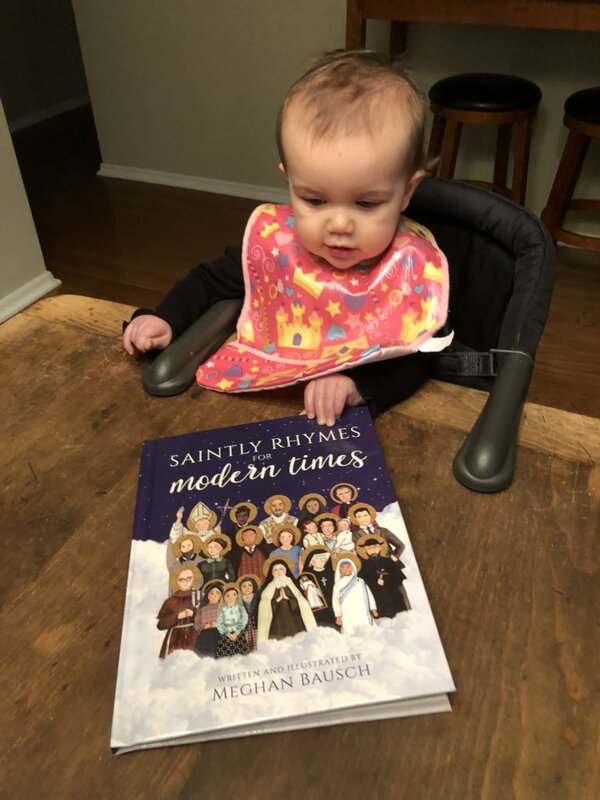 Sloan with a gift from grandma…”Saintly Rhymes for Modern Times” by Meghan Bausch. Weird Dream – When Sidney and I traveled to Charlotte earlier this month, she urged me to use cruise control. I usually never use it but I did during our trip. In the wee hours this morning, I dreamt that I was riding in the passenger seat while Sid was driving our car down the freeway. I looked down at the floorboard and then back at Sidney. Much to my horror, she was no longer in the drivers seat but the car was still accelerating at a high rate of speed. Suddenly, a traffic light came into view in the middle of the freeway with cars stacked behind it. I started to freak out but a voice from the back told me to calm down. I looked over my shoulder and saw Sid sitting in the backseat. She coached me to just move over to the driver’s seat and take control. Luckily, this wasn’t a nightmare as Sid’s calmness helped me stop the car just in time. I just don’t trust cruise control. Billy Graham – I just wanted to quickly celebrate Billy Graham. What an incredible life he lived. His devotion to God was simply inspiring. I had a Graham devotional as a youngster that I referred to often. Over the past day I have read articles about his visits to the places I once lived and I have ate up the summaries written about his relationships with NINE different United States Presidents. I really wish he made it to 100 but our world is certainly better for each day he lived over the course of his 99 years of life. 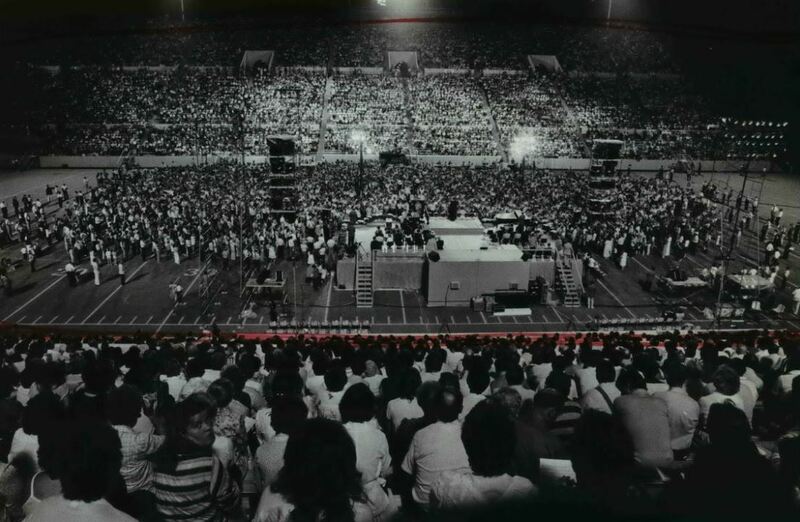 In August 1982, an eight-day Inland Empire Billy Graham Crusade at Joe Albi Stadium in my hometown of Spokane drew more than 223,500 people. (this photo is courtesy of the Spokesman-Review). 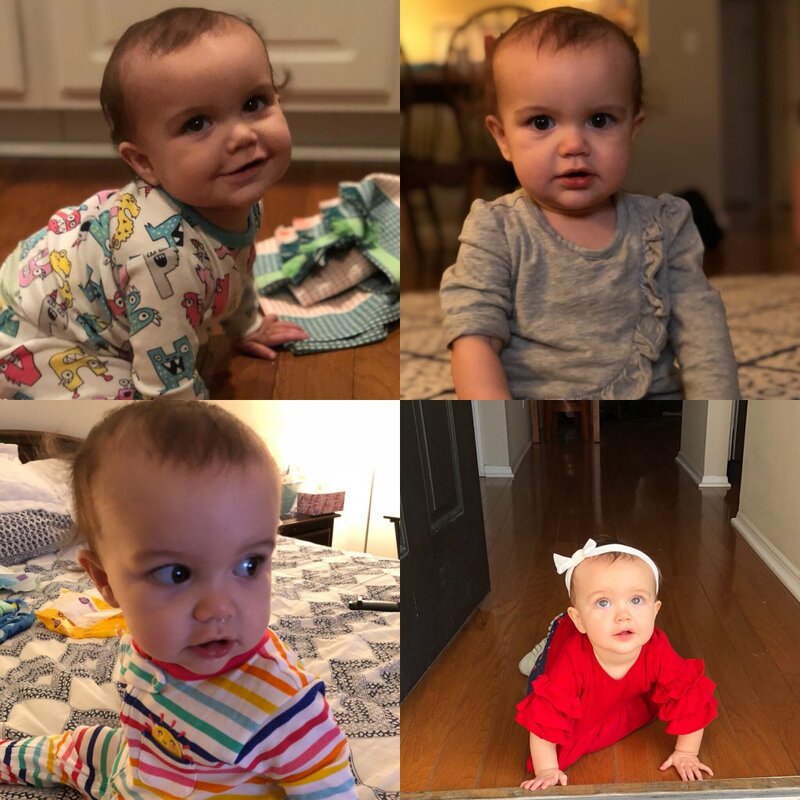 Sloan At 49 Weeks – In Sloan’s entire life, she has not had a more productive week than this one. Over the past several days she has started to climb the stairs, pull up entirely on her own, take steps with her walker, and crawl solely on all fours (before this week she still did her army crawl at times). Her birthday month is now less than a week away. 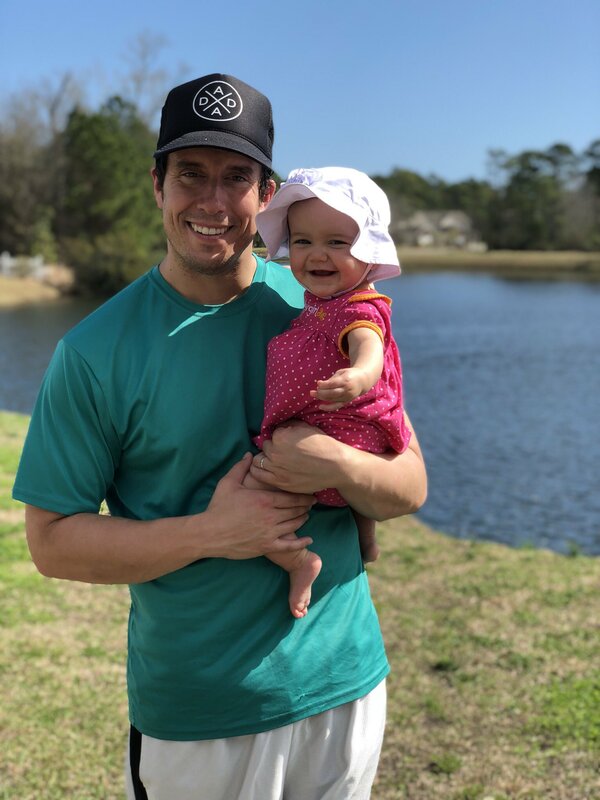 With party preparations in the works, we are trying not to get too ahead of ourselves so we can enjoy these final days with Sloan before she enters an entirely new category. 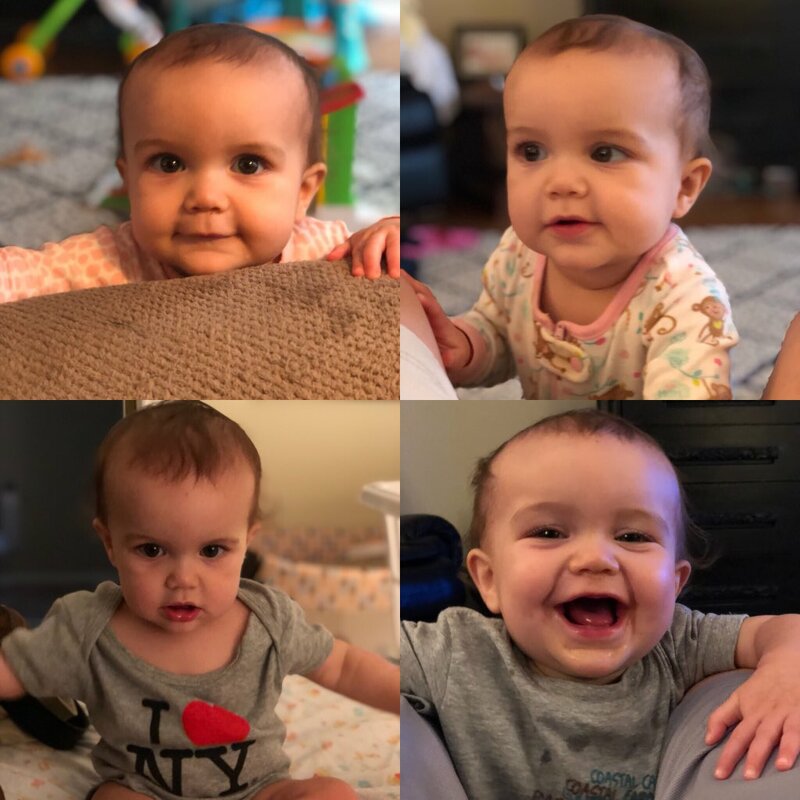 Here is Sloan’s 49 week photo collage. The upper 70s weather we are enjoying in Myrtle Beach will continue through the weekend (yay!). I hope you all have a great few days and I will catch up with everyone soon. Don’t Blink. When I started working for the University of Montana athletic department, I was in charge of all marketing operations for the women’s soccer and women’s volleyball teams. A duty that came with this was arranging national anthem singers for all the home matches. I had to discover new talent while also luring back the top performers who did well the previous season. Per my recommendation, the individuals who were especially good would advance from singing in front of 500-1,000 people at soccer and volleyball matches to performing in front of 7,000 people inside Dahlberg Arena at our Griz and Lady Griz basketball games. 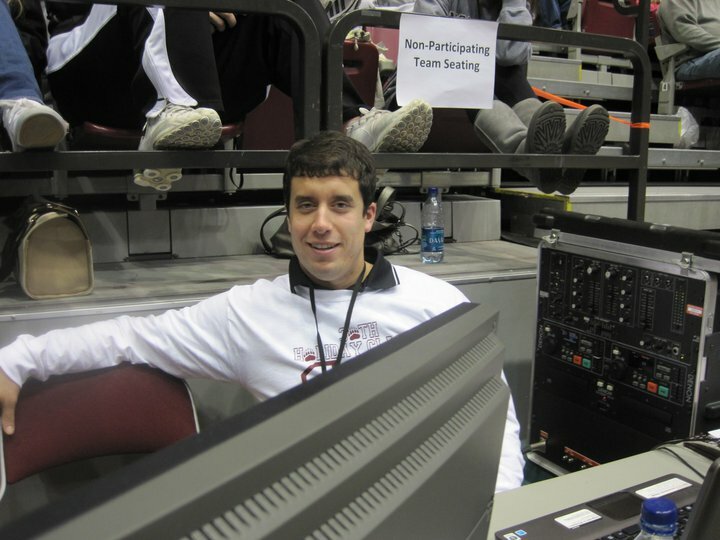 One of my duties at the Griz basketball games was to manage the sound. If the anthem singer was really bad, I would turn the microphone volume down just a little. During my career in collegiate athletics, I worked over 400 sporting events. Before I entered the professional world, I grew up going to games with my dad. In high school, I played sports all four years. Because of this, I have heard the national anthem performed live around 800 times. I have heard some awesome renditions and I have heard some sorry attempts. I feel I know a good Star Spangled Banner performance when I hear it. 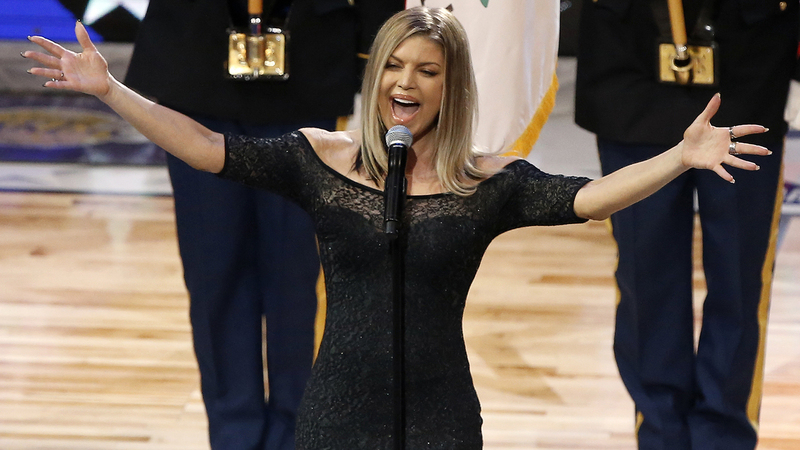 This early part of this week has been dominated by Fergie’s national anthem performance at Sunday’s NBA All-Star game. Music critics blasted it. Social media users had a field day. Certain individuals felt offended. Basically, the overall consensus was that it was one of the worst renditions of the Star Spangled Banner in the history of the song. No, it certainly does not rank up there with Whitney Houston’s 1991 legendary performance but I don’t think it belongs in the top five worst performances of all time either. To be honest, when I first started listening to Fergie’s performance, I didn’t know what all the fuss was about. However, by the time she got to the home stretch of the song the wheels had started to fall off. But aside from the ugly ending, I truthfully don’t feel the first 75% of the song was catastrophic. I further tested my feelings about her performance by doing this: I shut my eyes and listened. Without the expressions from the basketball players and the crowd, I was able to sit in the American Idol chair and listen objectively. When I had finished, I felt even more confident in my assessment that the performance wasn’t quite the train wreck everyone made it out to be. Fergie took a big risk. To put it mildly, she put her own spin on what many say is one of the toughest songs to sing. But she finished the performance and, for the most part, she got all the words right. That alone should keep her out of the category of “Worst Anthem Performances Ever.” Was it a deserving performance for the NBA ALL-Star game? Probably not. But I will tell you this…I would have taken it any day back in 2010 prior to one of the soccer games at South Campus Stadium in Missoula. Don’t Blink. A signature part of Don’t Blink is my annual #DoUsAFlavor Lay’s potato chips review and ranking. However, do you want to know something? On my top 5 list of favorite chips, you won’t find a Lay’s item. But you will find the below snacks on it! 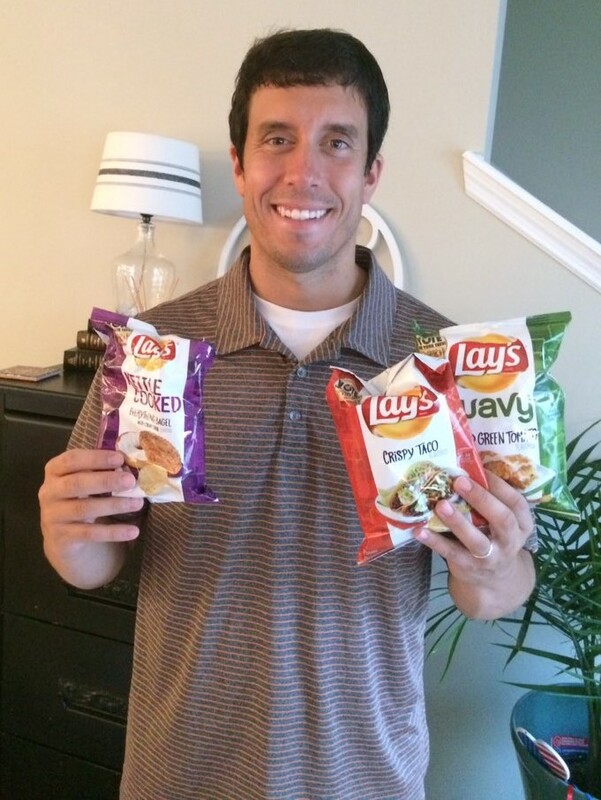 For tonight’s blog post, I am counting down my five favorite types of chips. I enjoy Lay’s Potato Chips, but they aren’t on my top five list. 5. 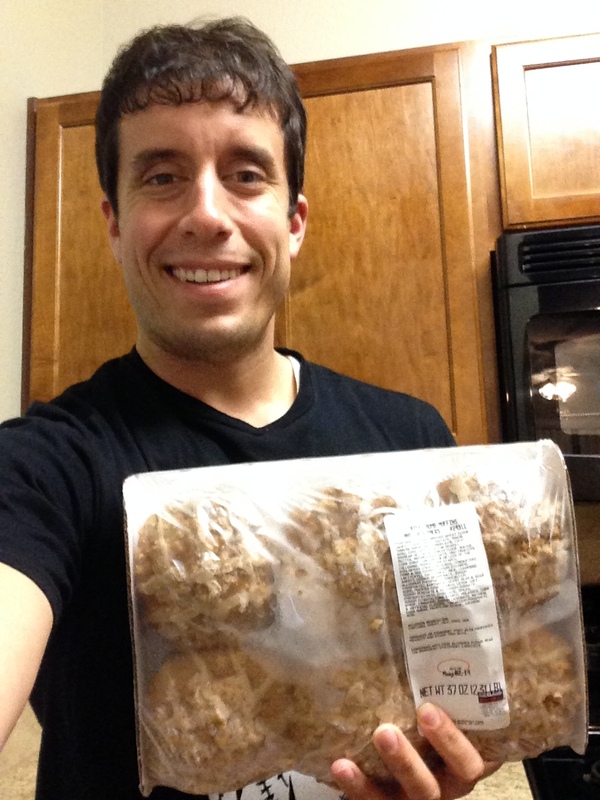 Tostito’s Rounds – In my opinion, a bag of Tostito’s Rounds is the perfect snack. Salty and easy to eat, you don’t have to worry about jagged pieces piercing your gums or crumbling in an inconvenient mess like regular tortilla chips. The size and shape of the snack makes it seem like you aren’t eating as much which is a good feeling. The biggest upside, however, is that they serve as a great base for quick nachos. I love piling a bunch of them onto a plate, dropping a layer of cheese, and sending it into the microwave for a minute. Out comes an easily containable, no mess serving of nachos! 4. Fritos Scoops – I like Tostito’s for nachos but I don’t necessarily like them best for dipping. If Sidney makes her famous sausage cheese dip, I want to pair it with Fritos Scoops. Thank goodness the leader in corn chip production makes a product specifically for dipping. Unlike tortilla chips, Fritos Scoops won’t break when you swoop in for a dip. Additionally, corn chips just taste better than tortilla chips. This is why I don’t even need a dip if I am going to eat Frito’s Scoops….just give me the bag and I am content. 3. Sun Chips Harvest Cheddar – I enjoy the entire Sun Chips line, but the cheddar version is my favorite. Scrumptious to eat alone, these chips taste delicious and contain a distinctive, full flavor. When I go to Subway, I am always grabbing a bag of Sun Chips just not to accompany my sandwich but to put on my sandwich. That’s right, there is no better chip to put on a sandwich than Sun Chips. The flavor and crunch combine to put any sandwich over the top. I have ate Sun Chips since I was little and I will always be a fan. 2. Cheetos – I am laughing a bit as I write this. Yes, I understand that Cheetos might not classify as a chip on everyone’s list but I think they are close enough (perhaps this could be the new “is a hot dog a sandwich?” argument). Notice how I did not specify “Crunchy” or “Puffs” as my favorite. Truth of the matter is that I enjoy both equally, although sometimes I will be more in the mood for one over the other. The best word to describe a Cheetos snack is addicting. You can open a bag and start munching and before you know it the bag is empty and your fingers are bright orange. I really enjoy the satisfying taste and crunch of Cheetos and have no problem eating imitators either. The cheese puff is simply a wonderful creation. 1. Tim’s Cascade Jalapeno Potato Chips – I prefer my potato chips thick and spicy. In a nutshell, that is the description of Tim’s Cascade Jalapeno Potato Chips, a snack based out of the Pacific Northwest. Sidney and I enjoy these chips so much that my mom will send us party size bags through the mail. The snack is simply perfect. The chip itself is pure quality, a hearty slice of potato fried until crispy and golden brown. A dynamite combination of spices is then added to pack a serious jalapeno punch to each chip. You will sweat when eating these but you won’t put the bag down. They are that good and addicting. Outside of the Tim’s brand, I still enjoy jalapeno chips but nothing beats the version that this Washington state company produces. Thanks for talking chips with me tonight. Did I omit a deserving snack from the list? Let me know, just make sure it has flavor and crunch. Don’t Blink. Today is President’s Day. Although many people across the country have the day off because it is a federal holiday, Sidney and I don’t. But I don’t look at it as necessarily a bad thing. Instead, I frame it by telling myself that we don’t have to go to work, we get to go to work. On days when I have to work and others don’t, I always think it is a great opportunity to reflect on how fortunate I am to not only have a job, but to have a good job. However, I don’t focus on salary, benefits, or other perks (which are all adequate). Rather, I count my lucky stars that I have a position that allows me to make an impact. I work on a college campus with 10,000+ young people who are living through what many say is the best time of their lives. As I do my job, I take comfort that I am sharing the same oxygen with motivated and engaged individuals who are doing their best to earn a degree and ultimately start a professional life. The fact that I get to interact with these students on a daily basis, both via social media and in person, makes the opportunity I have even better. Whenever I present to classes, I always say that it isn’t specializing in social media, enjoying cool opportunities to travel occasionally, or working in an exploding industry that I like most – instead, it is the chance to positively influence students that tops my list. But when it comes to truly making a positive influence, no job brings more riches than the one my wife holds. I have said it before, but there is no position more important than that of a teacher. No one touches our society in a more crucial way than our educators. Although the burden is heavy and the mental toll steep, Sidney shows up to the classroom each morning and performs her job to the absolute best of her ability, serving as a bright spot in the lives of so many 2nd graders. She has at many times a thankless job with infinite stresses but there is never an instance when her value or talent is in question. She is always needed. About the time Sid and I returned home from work this evening, many who had the day off had transitioned back to reality by making preparations to return to the office on Tuesday. The notion that some didn’t have to go to work while we did was no longer in play. But then again, it never mattered to us in the first place. Don’t Blink. 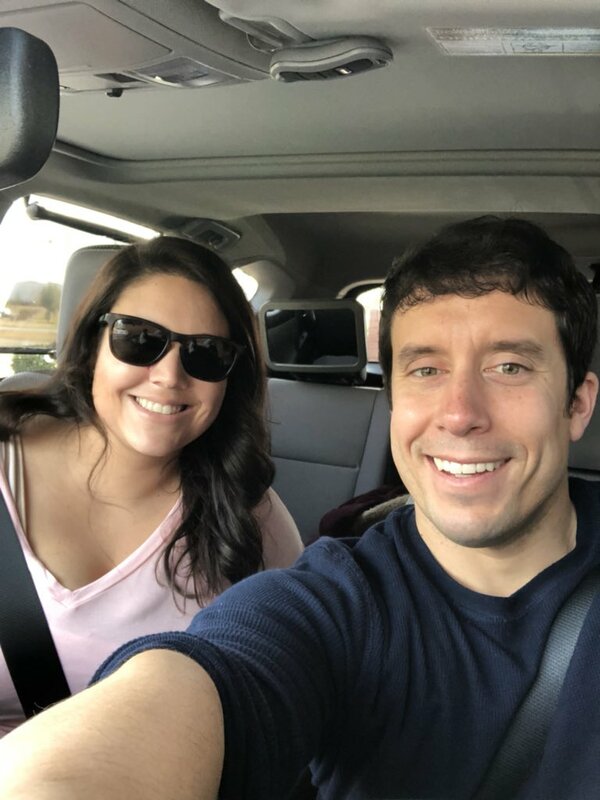 Valentine’s Day Recap – Yesterday, Sid and I repeated our Valentine’s Day tradition we started in 2017 with one minor wrinkle – we let a little person join us! Sloan participated in our card exchange early Wednesday morning. Although she didn’t have a card to give, we still gave her one (and a couple toys). 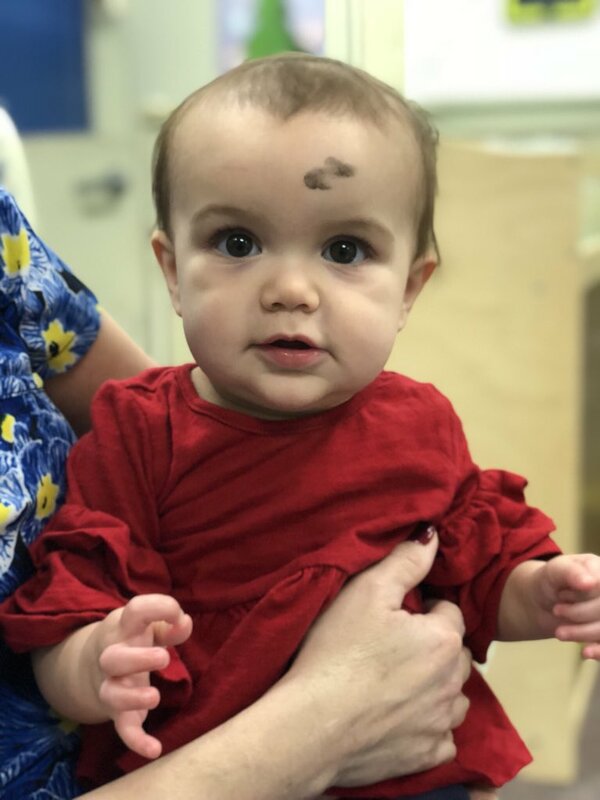 Our little girl also started her own mini Lenten journey when she participated in Ash Wednesday by receiving ashes. The combination of her Valentine’s Day outfit and the dusting of ash on her forehead made for a very special photo. Note: Last night on social media, I posted the link to my 2013 Lenten blog post instead of the one I wrote yesterday evening. Sorry for the error. You can read my 2018 Lenten blog post by clicking here. Sloan looked great sporting her Valentine’s Day outfit and ashes. Instagram Safety – Although it wasn’t the reason why I wanted to be on the news, I did give a couple interviews this week to local stations about protecting yourself on Instagram. Recently, a fake Instagram account tried to scam some of our students. True to the intelligence of our students at CCU, most didn’t fall for it. 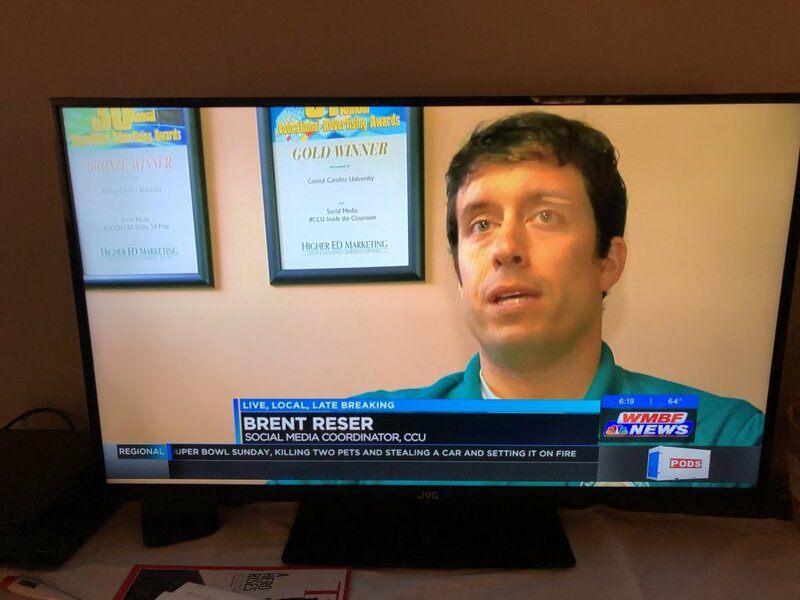 I spoke with WPDE and WMBF about the incident and gave advice on how to spot a fraud. Thanks to Summer Dashe and Amy Kawata for their stories. I was on the news earlier this week discussing Instagram safety. Reunited With A Winner – Last Friday, the Coastal softball team opened up the 2018 season by hosting Iowa State. The significance of this? The Cyclones are led by Jamie Pinkerton, the man who was hired at the University of Montana to start its softball program. Coach Pinkerton joined the Griz athletic department about seven months before I left for CCU. During that short time period I got to know Jamie and really respected how he went about beginning a program from scratch and also by how he treated me. It was no surprise that he had tremendous success at Montana and was quickly hired as the head coach at Iowa State. 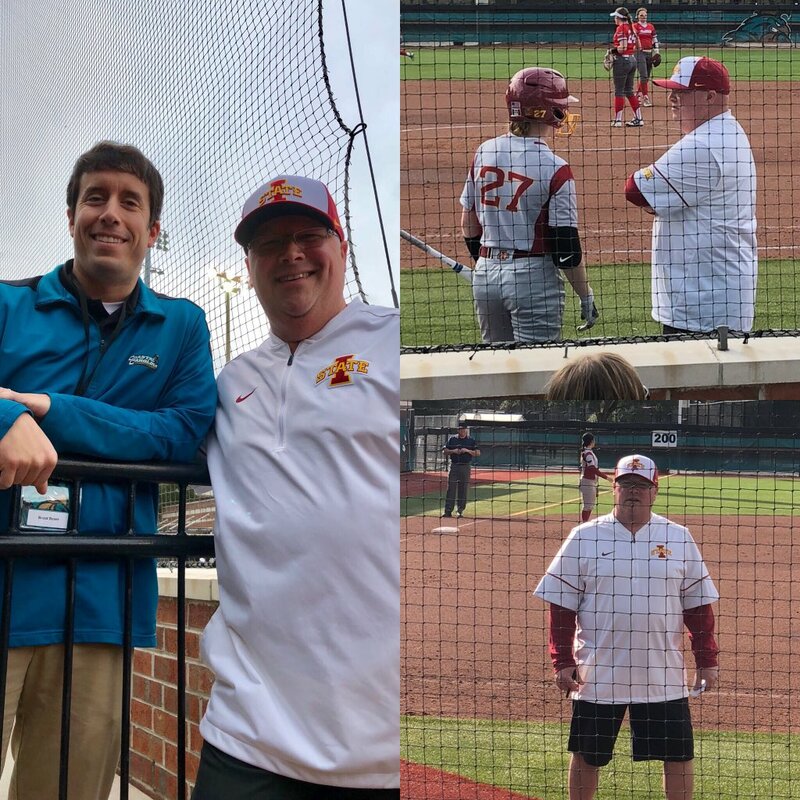 At the end of last week, I got to see Coach Pinkerton win his debut with the Cyclones and I also had the pleasure of catching up with him. The guy is a pure winner. I was reunited with Jamie Pinkerton this past Friday. Winter Olympics Review – As many of you know, I was lacking enthusiasm for the 2018 Winter Olympics. Probably because I set the bar so low, I now find myself kind of enjoying the games. Over the past week, I have watched the early morning coverage while working out at the gym and then Sid and I have fallen asleep watching the primetime coverage. Although still nowhere close to the Summer Olympics in terms of entertainment and prestige, I am blown away by the talent and fearlessness of some of these athletes. 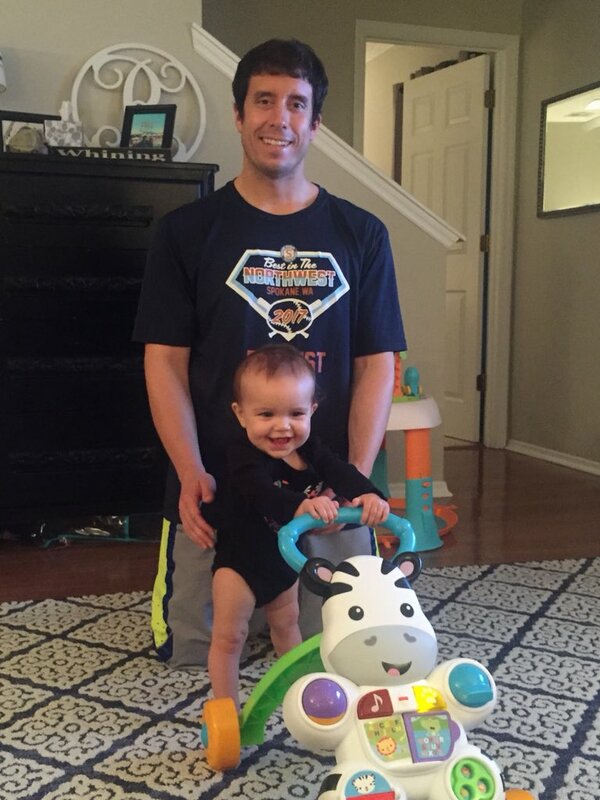 Sloan at 48 Weeks – Sloan is wrapping up her second consecutive healthy week. She babbles non-stop and is a handful to keep tabs on, even if she is still just crawling. Her hair is really coming in and it is starting to resemble that of a little girl. She is extremely sweet in the mornings and a “little monster” (our term of endearment for her) around 7 – 9 p.m. She is starting to pull herself up and she is having a great time experimenting with real people food. On Saturday she will be 11 months!! Here is Sloan’s 48 week collage. To all those people who hate Valentine’s Day, take solace that it is now over and the weekend is right around the corner. Thanks for reading! Don’t Blink. Today is Ash Wednesday, a major day on the Catholic liturgical calendar and those of many other Christian denominations as well. Although not a Holy Day of Obligation, Ash Wednesday mass is one of the most highly-attended services during the year. It kicks off the holy season of Lent, a period of 40 days (technically 46 days) where we prepare for Easter by trying to emulate the suffering that Jesus Christ endured by Satan in the desert over the same course of time. What does your Lenten journey look like? Five years ago, I wrote about Lent through the eyes of an individual. As Christians, we are not only called to fast, pray, and give alms but we are asked to do it in a private manner. The gospel clearly says that when we make a big deal about doing righteous acts, we are seeking the praise of others, not God. When we aim to earn praise from our social media followers or our friends, we will lose out on our reward in Heaven. Thus, it is important not to openly publicize or gloat about our Lenten intentions. However, Lent is not meant to be confined solely within ourselves. Rather, over the next 40 days, the opportunities are plentiful to grow closer to Jesus as a Christian community. Daily mass, group rosary, Stations of the Cross, communal confession, bible studies, and Friday fish frys are great ways to connect with others as we journey toward Easter. Although our personal sacrifices are meant to be kept private, our desire to understand and anticipate the resurrection of the Lord is not. This morning at Ash Wednesday mass, our parish administrator at St. Andrew, Fr. Roger Morgan, explained the symbolism of the ashes perfectly. He said they aren’t applied so we can “identify ourselves as part of a tribe” (i.e. Catholic, Lutheran, Anglican, etc.). Instead, they are applied to identify ourselves simply as sinners. It is pure reality. We are all sinners and there is no better way to come to grips with this and truly focus on it than six weeks before Easter. Although most of us wiped the ashes off our foreheads at the conclusion of the service we attended, it is important to act as if they are still there. 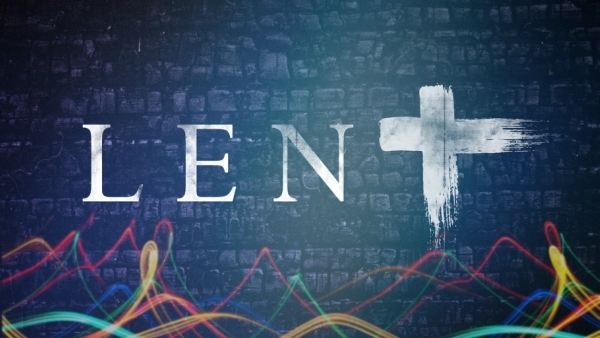 Lent is a time to humble ourselves and draw closer to God. We need to accept that we are sinners but do everything possible to overcome temptations and seek the narrow way. Don’t Blink. Almost three years ago, I wrote about my Wikipedia addiction. I love to reference the website if a question pops into my head. I also use it to do some leisurely reading when I have an hour to kill. In my lifetime I have used Wikipedia to look up thousands of articles dealing with fast food restaurants, breakfast cereals, sodas, sports stadiums, professionals I admire, retail stores, mascots, movies, and so much more. I start on a Wikipedia topic and then go on a wild tour as one article leads me to another. To kill some time, I wanted to go on a little Wikipedia odyssey with Sid. Carowinds was the perfect place to start. Lucky for me, I have a nice wife who was willing to feed my curiosity and read me various Wikipedia articles. 1. Two roller coasters in the theme park are literally built to cross the state border. Thus, after you ride one of these attractions, you will have crisscrossed from North Carolina to South Carolina numerous times in just a couple of minutes. 2. Building the park on the border and having rides cross it was all by design. Carowinds was built to create harmony between North Carolina and South Carolina. The park’s name is half “Carolina” and half “winds,” the latter referencing the winds that blow across the two states. After learning about the theme park of Sidney’s childhood, we learned about the theme park of my childhood, Silverwood. 1. Before Silverwood was built in 1988, the property was an aerodome complete with an airstrip and hangar. 2. The ride I remember going on the most as a kid, Roaring Creek (a smaller version of Disney’s Splash Mountain), was actually relocated from a theme park in Kentucky. As Silverwood is in Idaho, the ride had a long journey to its new home! Talking about these theme parks had me thinking about the general history of roller coasters. Luckily, Sidney entertained my curiosity. 1. Although the origin of the roller coaster traces back to the 1700s in Russia, the first recognized coaster in the United States was built in 1885 at Coney Island. 2. Roller coasters became extremely popular in the early 1900s but the Great Depression halted construction of the thrill rides for four decades. It wasn’t until 1972 that theme parks were revived and roller coasters started to be built again. We had fueled our hunger for theme parks and coasters. It was time to learn more about the main reason for our trip to Charlotte…the Cheesecake Factory! 1. One of the restaurant’s menu items, the crispy chicken costoletta, contains more calories (2,610) than a bucket of fried chicken from KFC. 2. The chain only operates 208 restaurants – obviously not enough because I have never lived in a place with a Cheesecake Factory location. 1. John Candy, Jim Belushi, Dan Aykroyd, Bill Murray, and Chevy Chase were all considered to play the role of Fred – it ended up going to John Goodman. 2. Rosie O’Donnell won the role of Betty because of her perfect impersonation of Betty’s laugh. Road trips that go by fast are great because they usually mean you were enjoying yourself. Taking advantage of the wonders of Wikipedia is a fabulous way to expedite time in the car. Thank you to Sid for putting up with me! Don’t Blink.